– Bachelor of Arts Degree – Public Administration and Speech Communications. 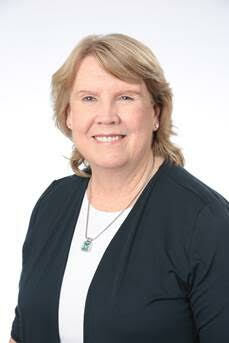 Biography: Laurie Botts is the Real Estate Division Manager for the City of Orlando. She is a state-certified residential real estate appraiser and a licensed real estate broker with over 35 years’ experience in real estate sales/disposition, development, leasing, property management, marketing and analysis. As the City’s Real Estate Manager for over 20 years, she and her staff represent the City in real estate matters, negotiate real estate transactions, negotiate and monitor lease agreements, evaluate the City’s current and future real estate needs and supervise the maintenance of all City real property records and fixed assets. She is a graduate of University of Central Florida with a Bachelor of Arts Degree in both Public Administration and Speech Communications. She also earned a Master’s Degree in Public Administration from UCF and was inducted in the Pi Alpha Alpha scholastic honor society. Laurie is an adjunct instructor in the College of Business where she has taught the Real Estate Appraisal and Valuation Class (REE 4103) for 8 years. Known as the Dr. Phillips House, the subject is a three-story Queen Anne/Shingle-style historical home, with a Greek Revival portico, comprising 8,436 SF of net rentable area (NRA) that was originally constructed in 1893 and fully restored in 1999 by the Meiner family. The interior includes a commercial kitchen and dining room on the first floor along with six furnished guest rooms located on the second and third floors. The backyard includes a small fountain, gazebo, brick pavers and a covered patio. 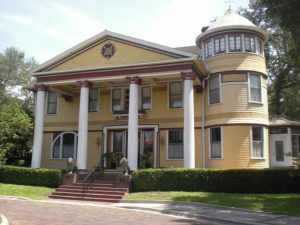 In 1978, the City of Orlando made the subject a historical landmark, and it was added to the National Register of Historic Places in 1979. 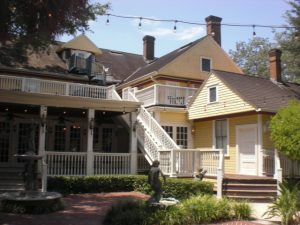 This property has historically been used as Louis’ restaurant, a catering/wedding banquet facility, and occasionally for overnight accommodations. The subject is extensively furnished with paintings, furniture and fixtures that were reportedly sourced all across the world. Thankfully, the appraisal assignment only involved appraising the real estate! What is the significance of this property to the history of the country, region, community or neighborhood? What historical designations does the property have? Is the property solitary, or is it a group of historic properties? Is the property eligible for rehabilitation tax credits? Would the property benefit from heritage tourism? Is the property encumbered by, or eligible for, a preservation or conservation easement? Are there any adaptive uses suitable? Despite being a well-known figure in Orlando as an orange grove magnate in the late 1800’s and early 1900’s, people outside of Orlando would most likely be unfamiliar with Dr. Phillips. 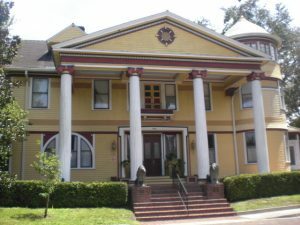 Overall, the architectural qualities of the subject and its historical significance did not warrant extending the selection of sales beyond downtown Orlando into other marketplaces; however, comparable sales included sales of local historic properties with different uses but similar architecture or sales of local similar-use, competitive, but non-historic properties. The appropriate increment for historic qualities was isolated from paired historic and non-historic properties. Michael Moran, SRA, AI-RRS was recently appointed by the Appraisal Institute’s President, James L. Murrett, MAI, SRA, to serve on the Client Advisory Board. Mike is a Vice President with IBERIABANK and serves as Director of RETECHS Residential. He also serves on the Board of Directors for the East Florida Chapter. He can be reached at 407.353.6050 and michael.moran@iberiabank.com. 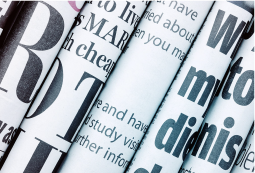 Have a great story you want to share? We’d love to hear about it! Send us your story via email to Lauren@eflai.org and we’ll put it up on our Spotlight page.